During his early childhood Brian played both Gaelic football and Rugby and did well in both sports. During his early teen years O’Driscoll was normally found on the bench as a substitute but as he trained and worked harder he worked his way into the team. Brian O’Driscoll may not be a household name here in the Pacific region, but in Ireland he is the toast of the nation and a very popular individual indeed. Ireland has a long history of sporting heroes on the rugby field and O’Driscoll is everything you would want from a sporting icon. Born on January 1979 in Dublin, both his mother and father were medical doctors, his family had a long traditional of playing rugby. Brian’s father represented Ireland in rugby as did his two uncles Barry and John O’Driscoll. His uncle John represented Ireland 26 times and played for the British Lions. During his early childhood Brian played both Gaelic football and Rugby and did well in both sports. During his early teen years O’Driscoll was normally found on the bench as a substitute but as he trained and worked harder he worked his way into the team. After some time the passion and commitment he gave rugby paid off as he was named in the Ireland fewer than 19 sides. This led to his inclusion in the Under-20-side. Brian O Driscoll made his full international debut for Ireland in June 1999 at the age of 20; interestingly he made his international debut before he secured a place in a premiership rugby team. After his international debut there was no stopping him as he gained confidence and played some phenomenal rugby. His preferred position was number 13 at outside centre and he made this position his own as there was no one of his calibre to compete against him for this position. In 2003 at age 24 he was made captain of Ireland and held the captaincy until 2012 almost 10 years an incredible feat in today’s modern day rugby. In fact he has a host of records; O’Driscoll is the most capped rugby player in the history of rugby union with 141 tests, overtaking Australia’s George Gregan who had 140 caps. He scored 46 tries for Ireland, making him the highest try scorer of all time for Ireland. He is also the highest scoring centre in international history. In his last international match, the finale of the 2014 Six Nations Championship on 15 March 2014, Brian O’Driscoll led his Irish team out to beat France in Paris for only the second time in 42 years. This victory crowned Ireland the 2014 Six Nations Championship winners. During his post match interview a very emotional and happy O’Driscoll thanked all the fans and said that he could not have wished for a better way to end his international career, it was a fairytale come true. His family life is a stable one with wife Amy and daughter Sadie and son Billy making up the O’Driscoll household. After retiring from rugby O’Driscoll is now a sought after rugby commentator for the big networks and can read and break down a game impressively for the viewers to follow. 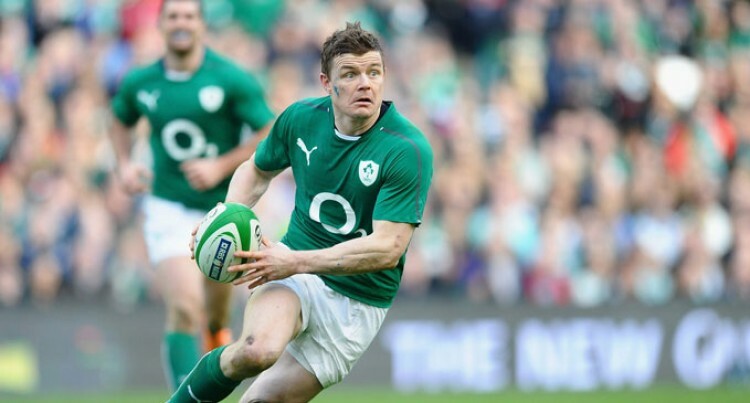 Brian O’Driscoll has every right to be called a sporting icon and lives up to that name by his unique leadership skills, unquestionable patriotism to his country and ability to stay at the top of international rugby for over 15 years.